Let's talk comics! And movies! And nerd stuff! This week we talked about all the new movie news. PORTLAND, Ore. — Aaaaand we're back! Or maybe you're visiting for the first time, if so, hey! Welcome! Are you ready to talk some nerd stuff? 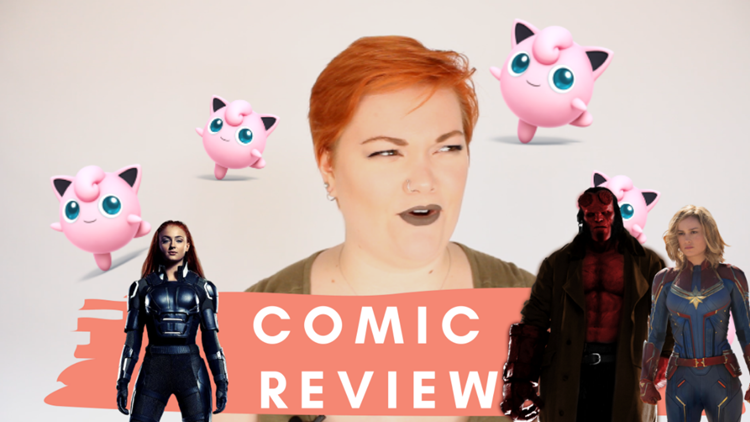 Investigative digital reporter Destiny Johnson is a "novice" comic book junkie who makes videos once a week reviewing comics she picked up at her local store, Floating World Comics. On Youtube, Twitter, and Facebook, she wants to hear what you're reading, loving or looking forward to. She wants to read your favorites, too! The best part about comics is the community, so we're trying to spread the nerd love. If you want to suggest something to her (which she would totally love) you can reach her on Twitter @hello_destiny or at djohnson3@kgw.com. Tell her why you love the comic, and if she can get a hold of it reasonably, she'll give it a go! So, without further ado, let's talk comics!